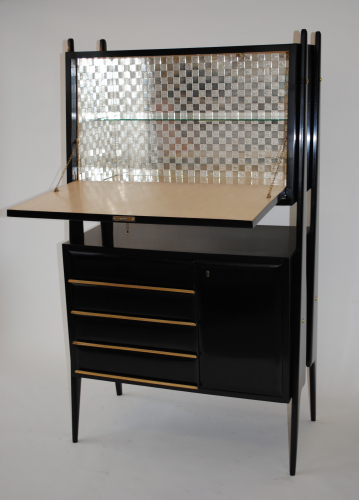 An elegant ebonised 1950`s Italian bar with shaped legs reminiscent of the work of Vittorio Dassi. Comprises bar/cabinet with mirror mosaic interior and single embedded glass shelf. Four lower drawers and a single side cabinet.